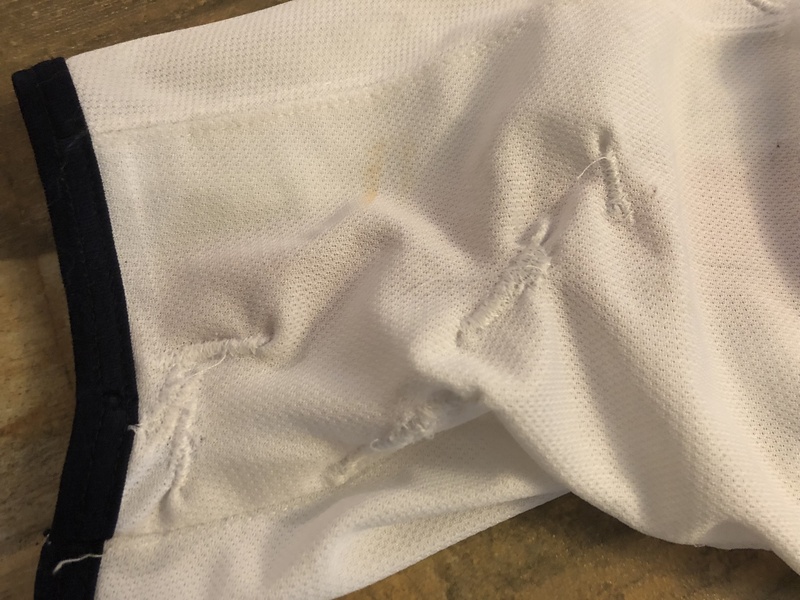 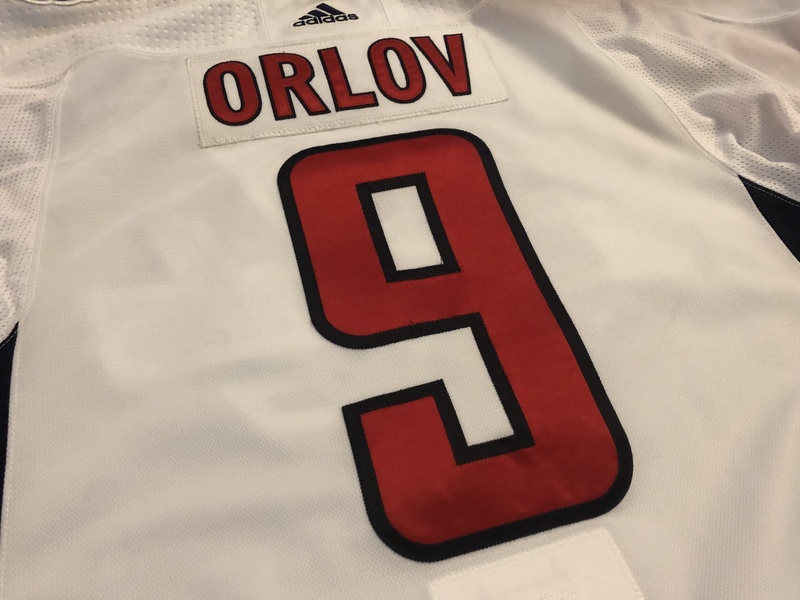 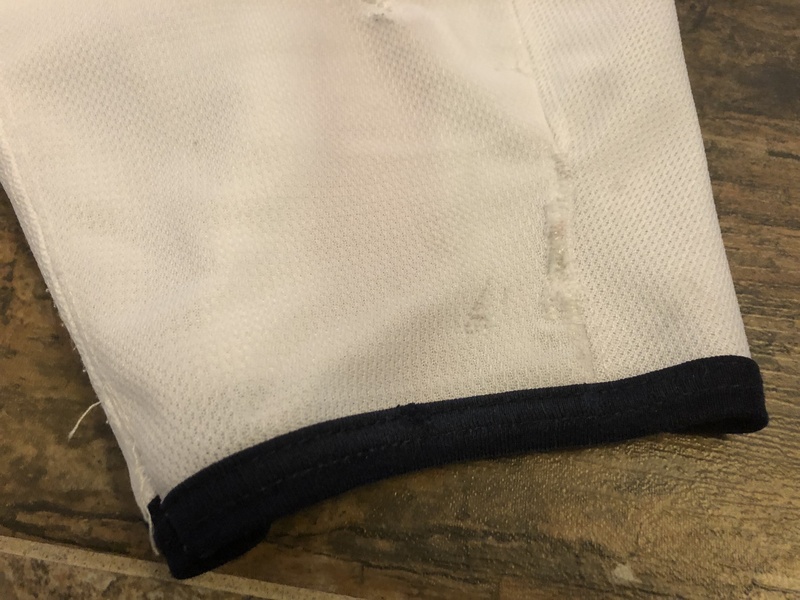 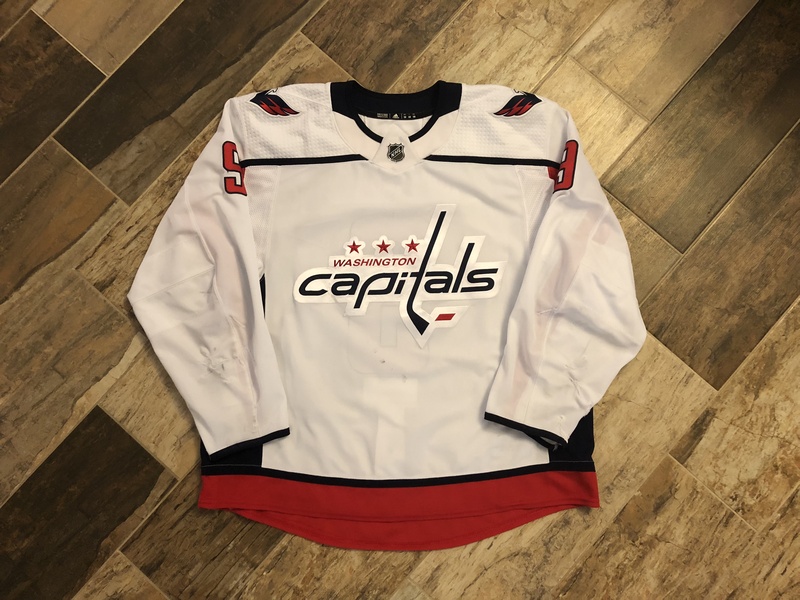 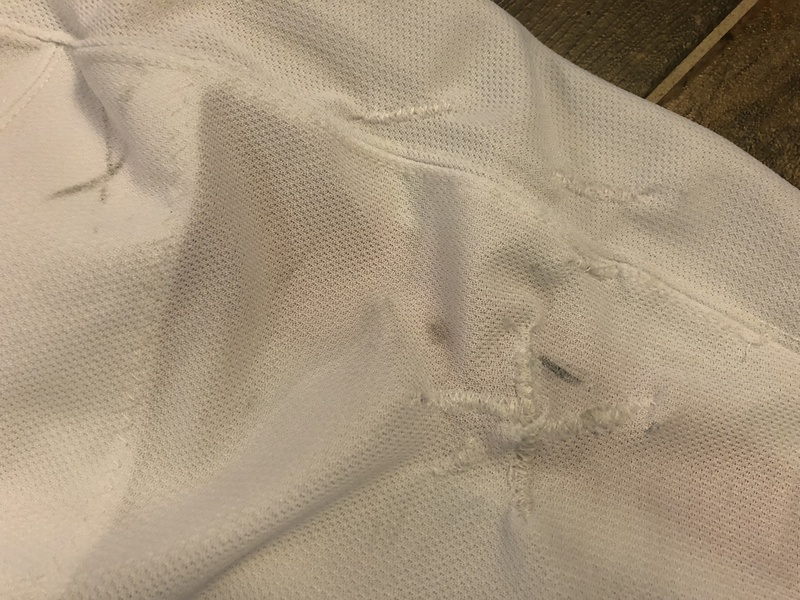 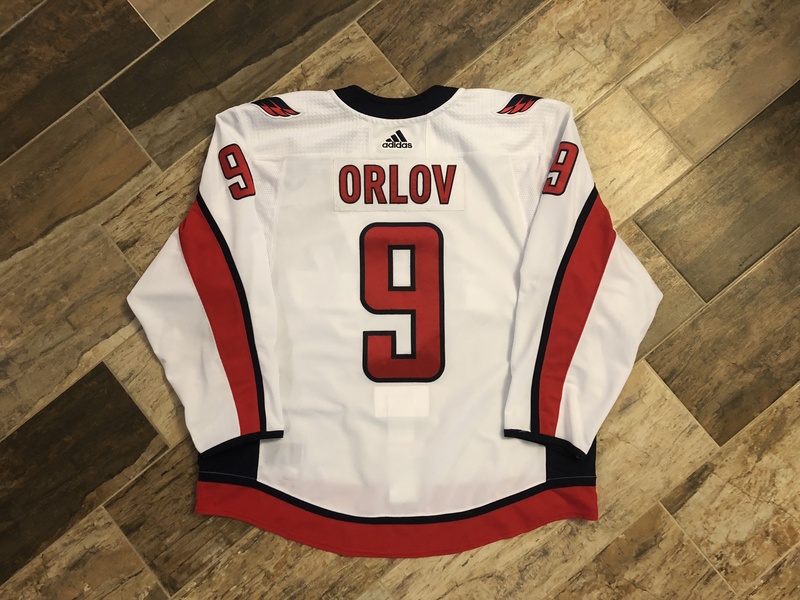 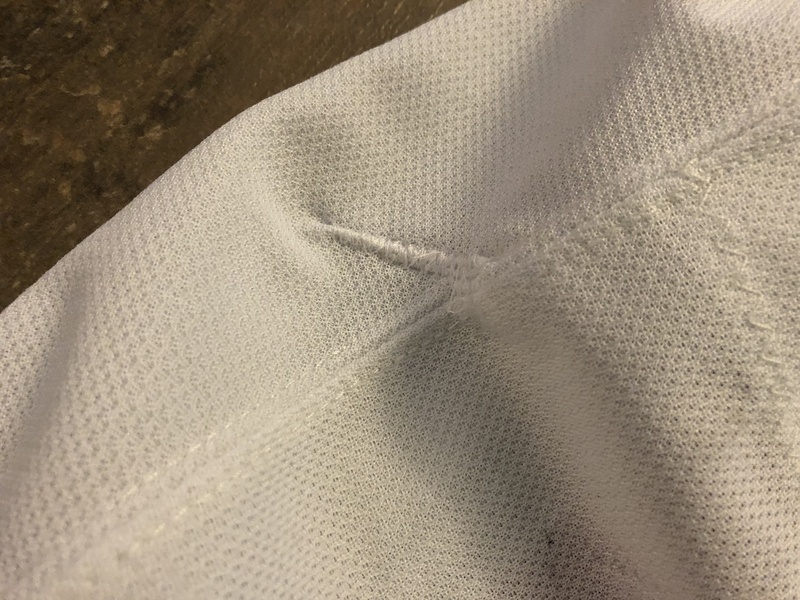 This jersey has great wear, with both sleeves having 5-6 repairs. 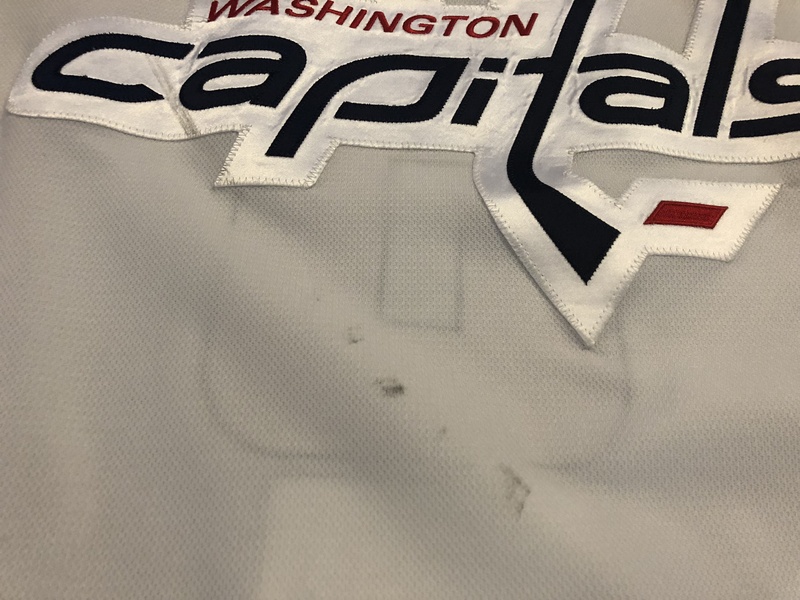 There are some other scattered marks throughout, including the crest on the front of the jersey. 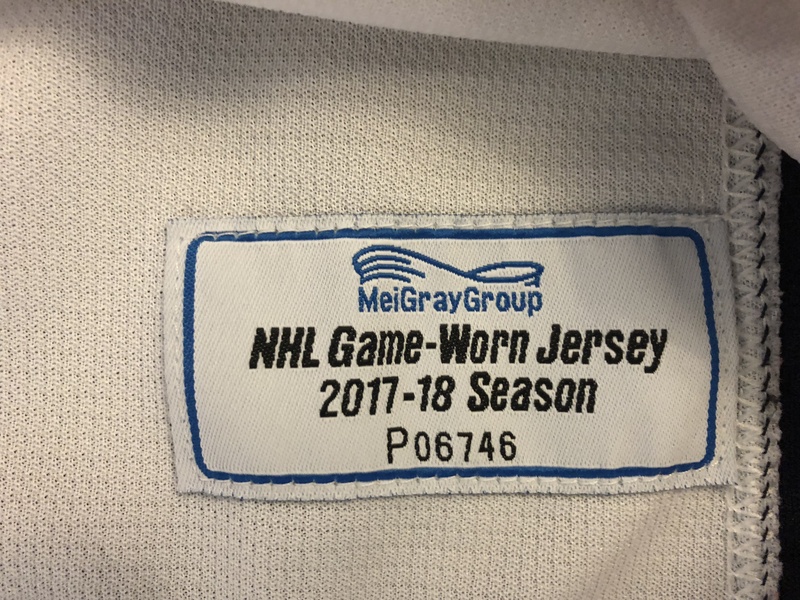 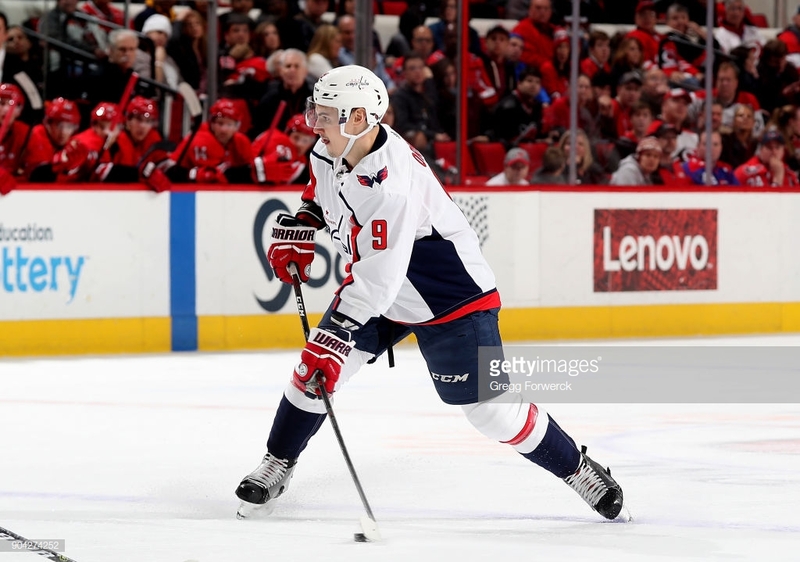 This was from the Stanley Cup winning season.